I totally agree on this! This was put VERY well! 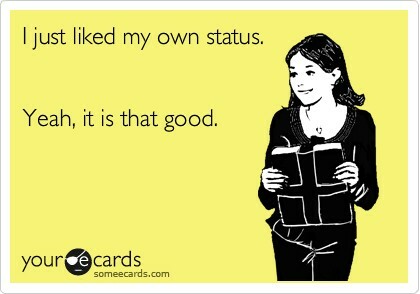 To “Like” is to respect and validate. In today’s society people’s personal stories, viewpoints, and actual facts are just a click away. I like to think that if someone is going to use their free time to create a post then it is obviously important at least to that individual. Everyday people pour their heart and souls out to random individuals online hoping to turn a few heads, and arouse a bit of attention. Maybe their post is positive, maybe it is negative, maybe it is factual, maybe it is fictional, and maybe it’s pure advertisement sometimes referred to as spam. Either way there is a person behind the blog driving it forward in hopes to spread some form of awareness.